Under the patronage of His Highness Sheikh Mansour Bin Zayed Al Nahyan, Deputy Prime Minister, Minister of Presidential Affairs, H.E. Dr. Abdulla Belhaif Al Nuaimi, Minister of Infrastructure and Development and Chairman of the Federal Transport Authority – Land and Maritime, UAE, is delighted to invite you to attend Middle East Rail 2019. Rail Live! is an exhibition and sponsored conference that will be held together with the Digital Rail Show, the World Metro & Light Rail Congress and R.A.I.L. It will bring together an all-encompassing rail show with a conference about all that is exciting and innovative in the rail sector. The expo will showcase the full range of innovation in the sector from civil engineering and construction to track innovation to new machine tools to signage and construction. Accelerate Rail brings together key stakeholders representing the whole spectrum of the UK rail industry for a day of open debate and discussion. This is your chance to explore the implications of the fares consultation and the Williams Rail Review. Keith Williams, Chair Williams Review will be speaking at Accelerate Rail 2019. Additionally Andrew Haines, Chief Executive, Network Rail and Ruth Hannant, Director General, Department for Transport will be speaking at the event. Join us in March to learn how to harness the opportunities of reform, deliver digital signalling, engage with passengers, innovate in rolling stock and implement devolution. As well as providing a gateway to one of Europe’s major markets, SIFER also helps participating companies to pursue export opportunities, thanks to its track record in attracting international visitors. As the showcase event for France’s dynamic railway supply industry, it sets the scene for wide-ranging and productive exchanges on the future of the industry, and for the establishment of strategic contacts and relationships. 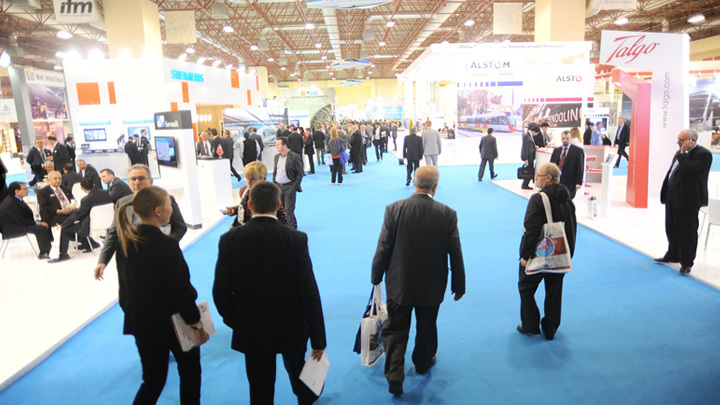 Recognised as Eurasia Region’s only and one of the world’s largest railway industry exhibitions, Eurasia Rail 2019 will bring together the players of the region’s rolling stock infrastructure and logistics industry. Eurasia Rail, one of the three biggest railway exhibition in the world, also has the distinction of being the only exhibition in its field in Eurasia Region. 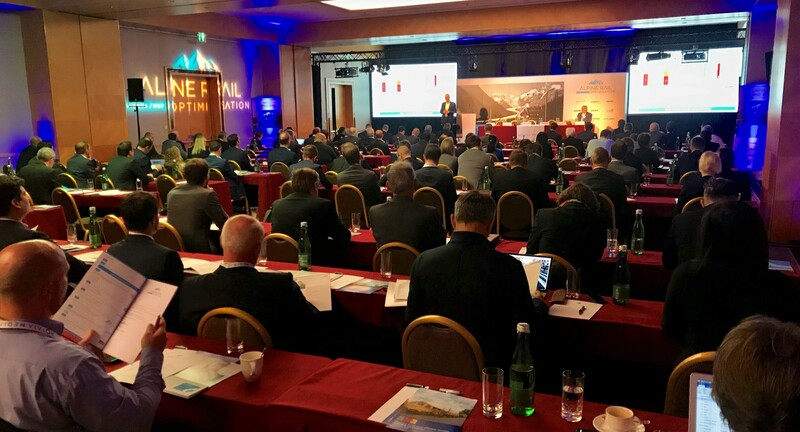 Eurasia Rail hosts a comprehensive seminar and conference programme delivering keynote speeches, industry updates and panel discussions on all aspects of the industry. Eurasia Rail which hosted 200 companies and 11,949 visitors from 25 countries last year, will be held at fairizmir, Izmir, between 10 – 12 April 2019. 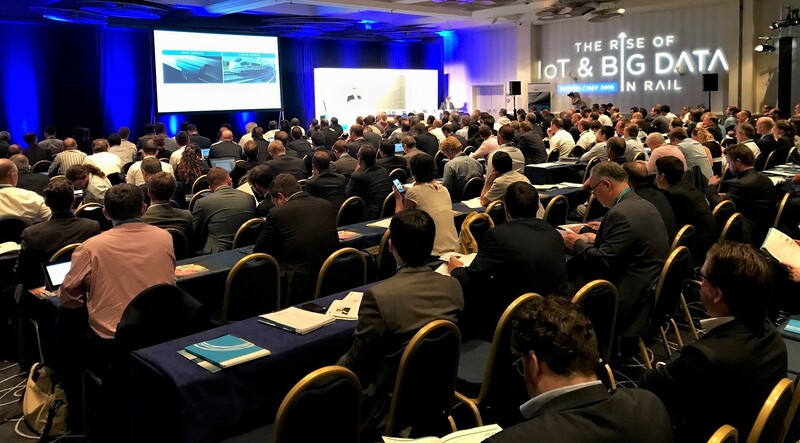 Incorporating the 8th annual PTC world congress, the 2019 conference will look at new technologies and strategies to maximise efficiency and reliability whilst operating a safe and secure network. SafeRail is the forum for railroads, transit agencies and solution providers to collaboratively work together to create efficient, secure and reliable networks. SafeRail will feature a number of important topics in the rail industry including digitalization, PTC implementation and Asset management. For the second time, SafeRail will be co-located with our annual Transport security congress which brings together industry experts from all modes of passenger and goods transportation to discuss the increasing security risk landscape. Delegates will be able to access to both conferences. Maintaining reliability, efficiency, and customer experience whilst prioritizing security is important for any operator. A security breach could cause major loss of revenue, a PR disaster, and potentially cause injury and even loss of life to staff and members of the public. It is critical that we make ourselves aware of the different forms of threats so we can understand and mitigate them. The 2019 congress will focus on how to leverage the rapid advancement of technology and use it for in your favour. Digitalisation is important in upholding a quick and efficient service for passengers. As the transportation sector becomes more modernised keeping up with new technology is important. Using data to efficiently deploy resources on your network, maximise security and reduce costs. Engaging with public and staff to tighten security and ensure that avoidable mistakes are not been made. The Summit will get together entire public & private transport community to discuss the future of smart ticketing, passenger information & latest ticketing technologies. Exchange knowledge and informative insights with leading experts and discuss current challenges and dynamics of the transport ticketing field. The main objective of the summit is to achieve extra knowledge and have a better insight, in a professional and great atmosphere. The Annual Ticketing Innovations summit is for all industry stakeholders, from chip and components manufacturers to ticket manufacturers, ticket bureaus, security printing companies, IT and software developers, systems integrators and end-user customers. The expo will address the current needs of safe public transportation; inadequate capacity; road safety; overcrowded and poor quality road networks; traffic management; parking; theft; and lack of modal options (including pedestrian walkways), etc. ROTAIA MEDIA’s The Rise of IoT & Big Data in Rail two-day conference will explore the huge breadth of both the predictive maintenance as well as the asset optimisation applications of big data, allowing Infrastructure Managers and Train Operating Companies to understand fully how they can benefit from setting in place the tools to harvest data from across the whole of their railway operations to reduce costs, minimise downtime, increase capacity and improve services. Infrastructure Managers and Train Operating Companies which have already implemented data capture systems, there will be the opportunity to consider how their current applications can be taken to the next level, and of course the opportunity to share both best practice and challenges with an audience of their peers. Returning to Munich on the 28th & 29th May 2019, the conference once again represents an invaluable and timely opportunity for companies with digital expertise, to help the operations and maintenance heads of global rail Infrastructure Managers and Train Operating Companies to understand how to collect and properly exploit massive sets of data from every aspect of their operations. The entire Stockholm region is connected by an efficient public transport system, whether above ground or below, on land or on the water. Almost 800,000 Stockholmers use the ever-growing transport network every day, and the percentage of people travelling on public transport vs those travelling by car has increased since the turn of the century, with 49% of all journeys within the county now made by public transport. SmartRail is the annual strategic technology conference for the global mainline rail sector and is a key event for infrastructure managers, passenger train operating companies, and freight services alike. This year the show moves to Munich and will be partnering with Deutsche Bahn. The show will feature a re-imagined agenda looking at the cutting edge developments in the rail sector, including telematics and communications technologies, data analytics, cyber security, Mobility-as-a-Service, artificial intelligence, and skills gaps and gender imbalances in the rail workforce. If your organisation needs to keep up to date with the latest technological developments improving the running of the railways, this event is a must-attend. New to 2019 sees the addition of asset management and the role of AI in the railways! Find out what the industry can learn by harnessing data for a predictive and preventative railway as well as the transformative power of Artificial Intelligence! ROTAIA MEDIA’s Alpine Rail Optimisation is where heavy rail meets the future. Established now as the key event in people’s diaries to access the latest updates and investments for the region, the conference has become the number one platform to facilitate critical dialogue between the region’s infrastructure heads and rail operators to discuss how they are harnessing the latest digital trends that are revolutionising the rail sector for better quality, improved reliability and greater customer service. Produced by Global Railway Review magazine, Digital Rail Revolution is a one-day conference that brings together a delegate audience of managers and heads of data, assets, innovations and operations from train operating companies and railway authorities to learn, discuss and debate how digitalisation is transforming the rail sector – improving assets, streamlining operations and improving passenger experience while reducing costs.